The Catuvellauni were a Celtic tribe or state of southeastern Britain before the Roman conquest, attested by inscriptions into the 4th century. Tasciovanus was the first king to mint coins at Verlamion, beginning ca 20 BC. He appears to have expanded his power at the expense of the Trinovantes to the east, as some of his coins, ca 15–10 BC, were minted in their capital Camulodunum (modern Colchester). 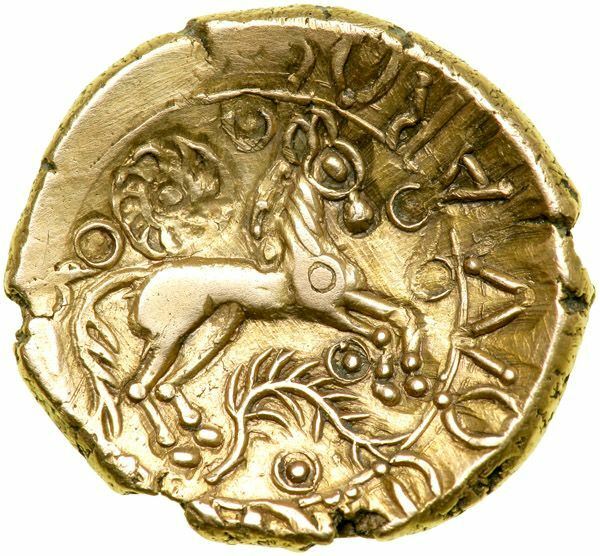 This advance was given up, possibly under pressure from Rome, and a later series of coins were again minted at Verulamium. It was the conquest of the Roman client kingdom of the Atrebates by the Catuvelauni which prompted Claudius to launch a successful invasion, led by Aulus Plautius, in AD 43.